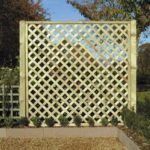 Made from planed timber, these heavy duty trellis lattice panels are in a diamond pattern. 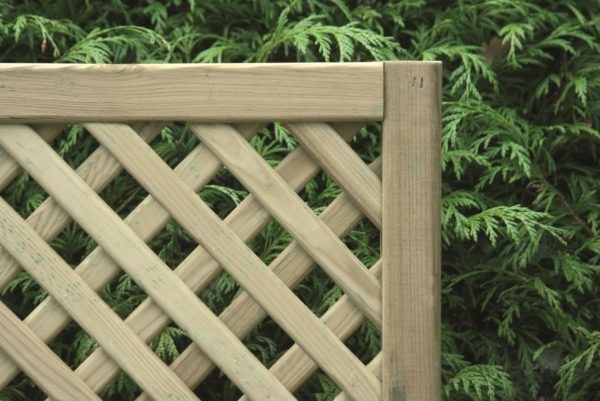 The outer frame is 45mm x 45mm wide, and the rounded lattice is 40mm x 8mm. 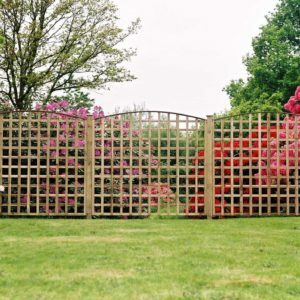 The gaps are 70mm apart. For a panel less than 4’ high, we recommend a post that is 3” x 3” or x 4” x 3”. 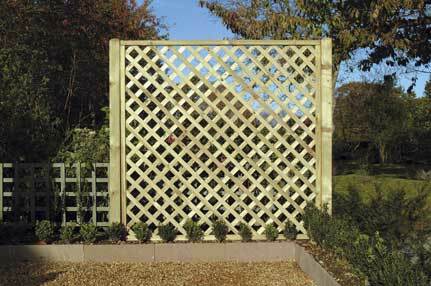 A 5ft or 6ft high panel require a 4” x 4” post, especially if it is a windy site. 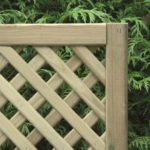 The length of the post depends on how windy the site is and what type of ground the posts are going in; however as a general rule, each post should set into the ground by at least 2ft.